As has become the tradition of several artists in Ghana, after being handed an award at the ‘glitzy’ event at either the conference centre or the national theatre, a track usually follows to satisfy a number of reasons. The track either tells of how they had to hustle to get where they are, or about how much money they now have or sometimes, just plain old blabber for several minutes with a nice beat and hook. It is with this disposition i approached the newly released track from the only Ghanaian musician with a dot in his name, M.anifest. 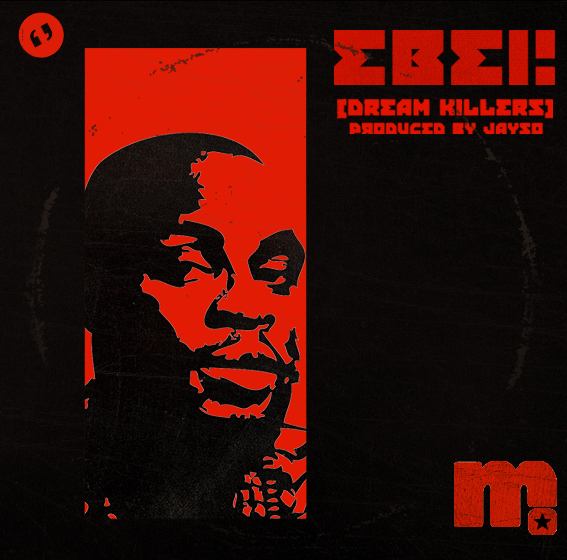 He calls the track ‘Ebei’; a direct translation of which could leave you with something like “oh dear.” Adhering to his trademark style of rap where every bar leaves you reeling under a shower of well-placed words that not only make sense but convey a powerful message, M.anifest sends a strong message about how folks ought to continue believing and pursuing their dreams with passion. your passion, them go ‘yob’ you say charley make you dawg; when you make it rain, it can rain cats and dogs,” is how he opens the second verse of the track. names in Ghana’s rap scene falling along the way due to a plethora of reasons, it is refreshing to see someone commit himself to nothing but excellence. M.anifest stresses when he says in the track; “Dreamkillers dey chao, I start dey source; since umbilical I cut the cord,” the point that folks looking to pursue their dreams must from the beginning be ready to shun the company of people who shoulder what Ghanaians call ‘pull him down syndrome’. Though his mastery of the art form (rap) has never been questioned (he won an award for it so go figure), the manner in which he references DKB’s punches, borrows lines from M.I. and yet still delivers a message of resilience and perseverance, is simply impressive. It’s clear that here is an artist who has his sights set on only one goal: Taking Ghana music to the very top. He says in the track: “When you see white smoke, you know M got the new pope.” I get the feeling there is so much more original and uniqueness to come from this artist.